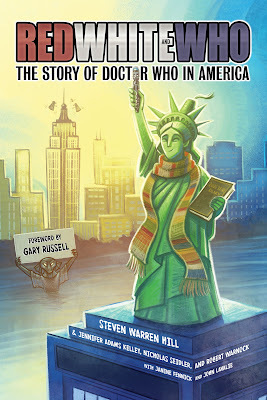 A new book by ATB Publishing, RED WHITE AND WHO: The Story of Doctor Who in America, sets out to examine the origins and rise of Doctor Who fandom in the US, from the early days of PBS to the explosion of its popularity in current era. Every American DOCTOR WHO fan has a story to tell, and fans of the iconic British television show love to tell stories. All of them, from the casual to the obsessed, will happily regale others with the tale of how and when they discovered the greatest science fiction media franchise ever. 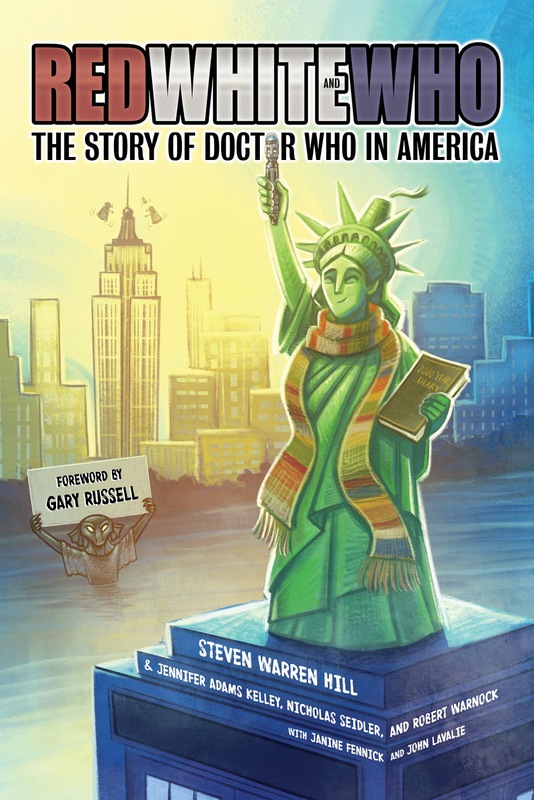 Most early American fans first met the Doctor in the early 1980s, nearly twenty years after the show began in 1963…but the story of DOCTOR WHO in America—a complex and fascinating journey into pop culture—stretches much further back. The softcover book comes in at 704 pages, and boasts over 600 images. The book is a collaborative effort by Steven Warren, Jennifer Adams Kelley, Nicholas Seidler and Robert Warnock, along with Janine Fennick and John Lavalie. It is scheduled for release August 21. Visit ATB Publishing for more information.